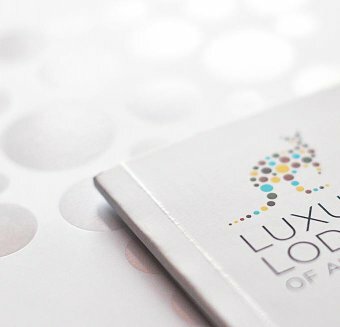 Longitude 131° offers the best of contemporary Australian cuisine, with an emphasis on simple, quality produce and local flavours to mirror the tranquil, spiritual outback surrounds. Executive Chef Sara Rezguis has a vision for cuisine at Longitude 131°; she sources the best produce from around Australia – ideally sustainably produced – to create a world-class taste of Australia, to be savoured with a view straight to the nation’s spiritual heart, Uluru. Sara has a keen interest in the natural ingredients growing around the lodge and used over time in cooking by the Anangu people. She is a keen forager – often gathering succulents and berries and combines these very local ‘bush-tucker’ flavours with produce from Australia’s coastal and rural produce regions many kilometres away. Sara considers the kitchen at Longitude 131° as the hub of contemporary Australian dining, bringing the nation’s finest flavours together on the plate. Dine and relax in the earth-toned Dune House, the heart of Longitude 131°, with its panoramic views and cantilevered roof. 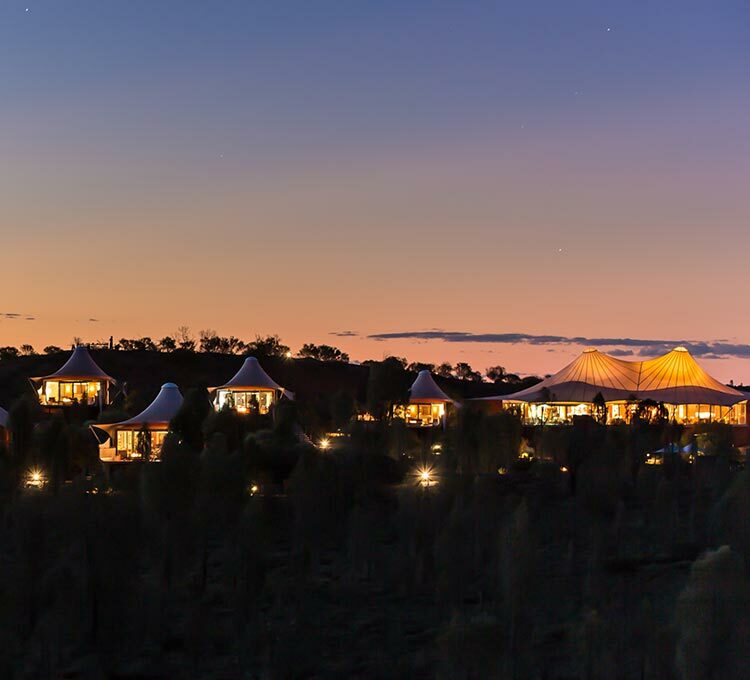 Savour world class cuisine celebrating a fusion of modern and aboriginal flavours at breakfast, lunch and dinner, with the stunning backdrop of Uluru. In the evening, enjoy an outback sundowner at the convivial open bar, swap stories of the day’s adventures and revel in the unique surroundings. Dining under the stars at Table 131° is a one-in-a-lifetime experience not to be missed. 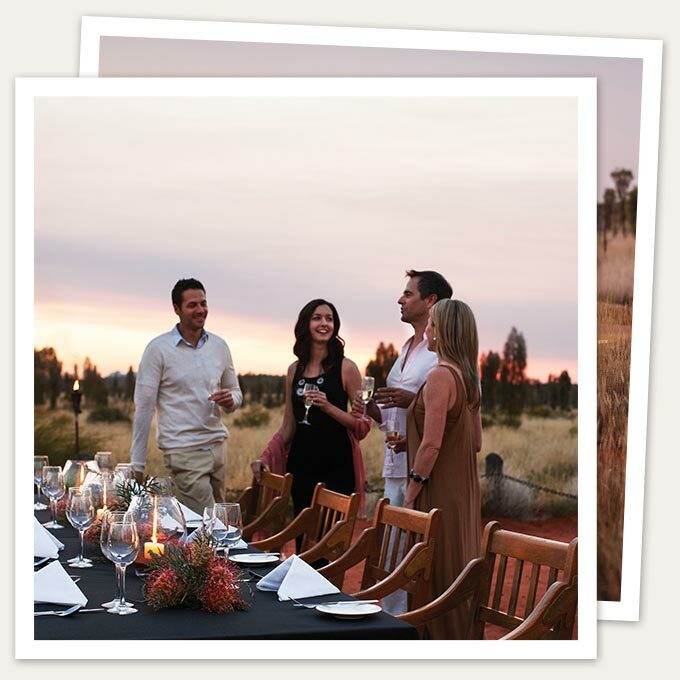 As darkness falls, a four-course dinner with matched Australian wines is served in an exclusive outback setting. Aboriginal performers mesmerise with the movement and songs of their ancient culture and after dinner, Longitude’s resident astronomer regales guests with tales of the Southerly constellations. All dining and beverages are included (a select Cellarmasters list is available for additional cost). Romantic private dining can also be arranged on the Dune Top or poolside (additional tariff applies). Special dietary requirements or food preferences can be catered for. Elemental to Longitude 131's food philosophy is working in harmony with the aboriginal seasons of the outback, through the 'Kuli' (the hot time), 'Nyinnga' (the cold time) and 'Piriakutu' (the windy in-between time), designing menus which both align with the desert environment and provide guests with refreshing sustenance. In the evening, relax over pre-dinner drinks and canapés served in the Dune House and then enjoy a 3-course dinner with chosen wines.